Santa (and my wife) was very kind to me and got me a new pair of shoes for Christmas – the ASIC Kayano 18’s in silver and fluoro yellow! ASICS Kayano 18: fluoro yellow and silver and wrapped nicely under my Christmas tree! I used to be a Kayano wearer years ago but had changed to the cheaper and, I think for a time, better shoe in the GT series (2130, 50 and 70). However as I’m not a major pronator I’m probably more suited to the Kayano from a form perspective. I’d had my eye on the Kayano’s throughout the years and found them not to work for me as much as my originals which I think were a Kayano 8. I’d tried the 14 and found it heavy and constrictive but my wife had seen me looking at the 18’s a while ago and picked them up at for a good price and got them for me without me having tried them on. This is always a brave move in buying shoes, especially ones that you are going to grow to love over months and hundreds of kilometres of sweat, tears and joy. I am delighted to say that the move paid off very handsomely. I’ve run in the Kayano 18’s twice since opening them and found them to be comfortable out of the box – no need to run them in so to speak. I’m not going to go into all the details of the weight and foot drop as there are much more technically qualified people doing reviews like that online, however I can certainly say that they felt noticeably lighter than previous Kayano models and were a big plus on the comfort factor. This may be due to the fact that the 18 model was more tailored for a neutral runner as opposed to the more recent models, however I found they still offered a comforting level of support. My one criticism of them was that one of my runs was done on a warm day with a temperature of 30 C/86 F and by the end of an hour long run my feet were pretty toasty. On my second run with a temperature of 21 C/ 70 F I ran for the same time and had no such issues but will certainly be keeping an eye on it. And anyone who watched the London Olympics would know that to be considered a serious runner this year it appeared as though you had to have fluoro shoes – the bright yellow laces of the Kayano 18’s does not disappoint while also not been overbearing. I’m far from the fastest runner and don’t want to draw too much attention to myself and I felt that these shoes found that balance between fashion, function and over the top flair. I know that the Kayano 19’s are now available but if you are after a cheap pair of reliable shoes consider the older model if you can get it for a good price. Do you ever run naked? 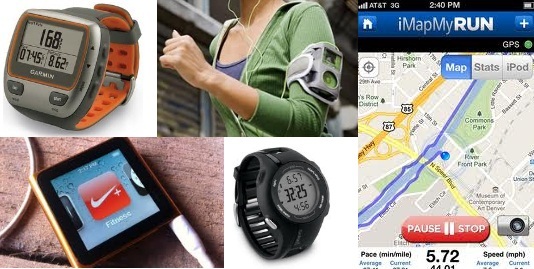 Has gadgetry turned the simple act of running into something much harder? When I started running in 2003 I enjoyed the simplicity of pulling on some shoes and heading out the front door. I’m not even sure that back then I had a stopwatch on my watch so I think I occasionally used the one in my phone to measure rough times. I’d come home from the run and measure out my route in my street directory with a piece of string (sounds really old fashioned hey – hard to believe it was less than 10 years ago) until I discovered the ability to measure my runs online. When I started doing triathlon I purchased my first heart rate monitor and thought that was so amazing, even been able to send the data to my computer through infrared! Nowadays I have a Garmin 310XT which lets me record every run within an inch of its life. I am self-confessed running data junkie. I analyse runs for speed and distance, although I am getting better and don’t focus so much on heart rate or other variables. I still download my data immediately after each run though, much to my wife’s dismay and amusement. So that is why an initative by The Naked Runners caught my eye – the Naked November campaign! This is not something that will add to my wife’s dismay or amusement in the way that you might think – it is all about running without technology (but keep your clothing on! ).For me it is giving up my Garmin and associated data stream from that, however for others it might be that you can never run without headphones in and music blaring. I consider myself lucky in that I have never ran with headphones and only times I’ve tried at the gym they always fall out or get sweaty so I don’t bother and instead run with my thoughts and focus on breathing, stride or nothing at all. I had my first naked run on Tuesday and I have to admit it was mentally difficult to not have the data to analyse. I didn’t mind it so much during the run, not having my splits and pace was a little annoying but I was able to just run by feel and keep it comfortable. But afterwards I missed not been able to record the data and look at the splits. I think I’ll try again a few more times in Naked November but I think I just have to admit that I’m data junkie. I would imagine that this might be even harder for those that run with music, but give it a go, enjoy nature and the simple act of running. Have you tried a naked run? How did you find it?